In residence, you'll take advantage of all that the university has to offer. 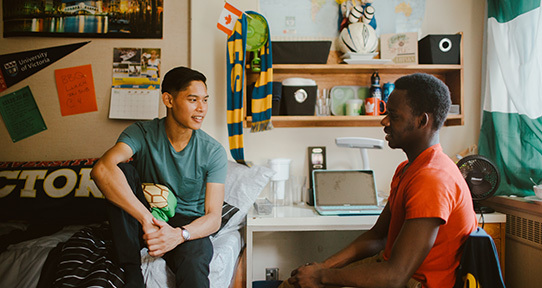 Living in residence at UVic will be an important and exciting part of your university experience. More than just a place to live, UVic residences offer a supportive community where you can thrive. Living in residence is a great way to transition to university life. We offer a range of residence options for graduate students. Get ahead in your courses and enjoy your summer at UVic.